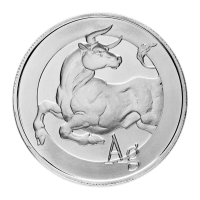 Stříbrná mince Stříbrný býk 2014, 1 oz The Silver Bull is an integral design in the Silver Shield series and features an idea that is at the heart of the silver stacking community, the silver bull market. 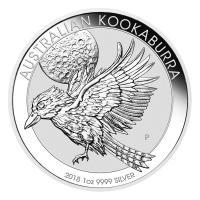 The silver market has been charging forward at a pace that surprised most, despite a few short periods of correction, and is perfectly typified by the charging bull of this iconic design. 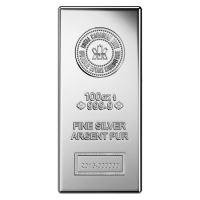 This release is intended to be a silver stacker or bullion product with premiums set as low as possible to complement the idea the design portrays. 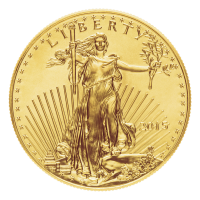 The obverse features a powerful bull leaping out of a ring. The clearly visible musculature along with the recessed centre of the design gives the round a three dimensional appearance. 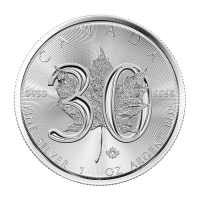 The chemical symbol for silver, Ag, completes the design and is raised in the centre and struck in or "incuse" in the outer circle. That is the entire design. Simple, straightforward and uncomplicated. 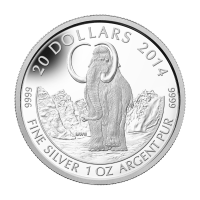 Silver is a bull, know, stack it and be protected. 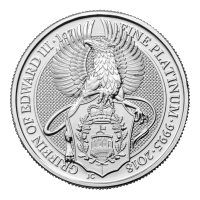 The reverse shows the revised Silver Shield logo with the trivium in the centre encircled by the words "Silver Shield 1 Troy ounce 2014 999 Pure AG" surrounded by 47 bullets. This simple design is not intended to be a collector's piece, though it easily merits that with its beautiful simplicity. This is a stacker product.